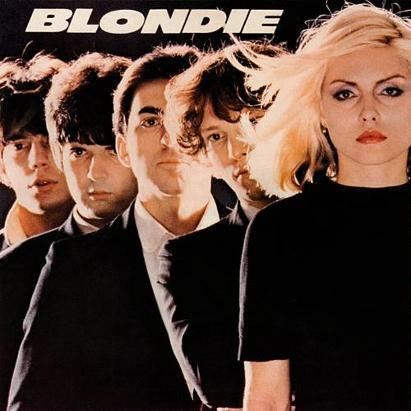 Blondie were a firm favourite in our household back in the seventies and eighties, and I still have a stack of well-used vinyl - the band gained fame in the late 1970s. Featuring lead singer Deborah Harry, the American band was a pioneer in the early American punk rock and New Wave scene. Indeed, their first two albums were very much influenced by punk and new wave, and were more successful in the UK and Australia, than in America. After the release of Parallel Lines in 1978, Blondie were no longer seen as an underground band in the US, and over the next few years, the band achieved many hit singles. New musical styles such as disco, reggae and pop were incorporated into the band's releases, while still retaining some of the new wave/punk element. After the release of their sixth studio album The Hunter. Blondie split in 1982, with Debbie Harry starting a moderately successful solo career, her biggest hit being I Want That Man. However, the band reformed in 1997 and acheived renewed chart success with the No.1 single Maria in the UK in 1999. 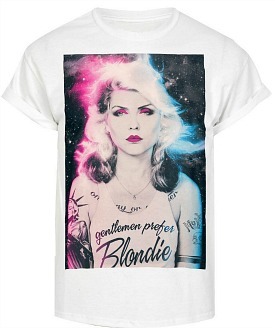 Deborah Harry has also released five solo albums, her biggest being Def, Dumb and Blonde in 1989. Harry changed her name from "Debbie" to "Deborah", although I'm not sure why - maybe she just wanted to sound a bit posh! Denis was originally a hit for Randy & The Rainbows in 1963. 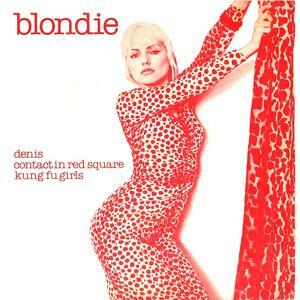 Blondie's version reached No.2 in the UK in 1978, and was kept off the top spot by Kate Bush with Wuthering Heights. 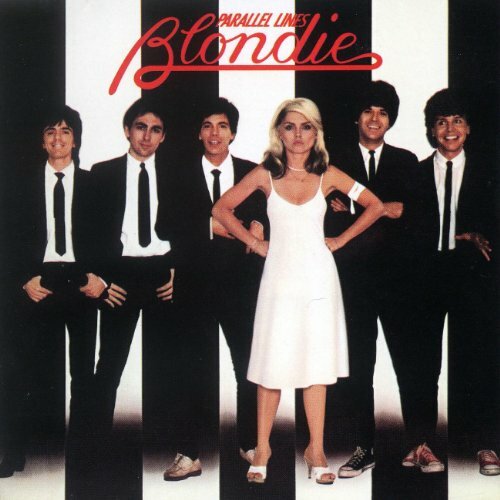 This was the first single to be lifted from Blondie's third album Parallel Lines and reached No.12 in the UK singles chart in 1978. The single was not released in the U.S. In the promotional video (see the playlist above) Debbie Harry is wearing a yellow dress designed by Stephen Sprouse. The fashion designer pioneered sixties-inspired, neon and graffiti print clothing that has a sophisticated style. The B-side, Fade Away and Radiate was also included on Parallel Lines and featured Robert Fripp on guitar. Reaching No.1 in 1980, Call Me was the main soundtrack to the movie American Gigolo. The song also featured on the British Telecom advert during 1980. Electronic/disco music producer Giorgio Moroder originally asked Stevie Nicks from Fleetwood Mac to create the soundtrack, but she declined. There have been literally dozens of cover versions of Call Me, the most notable ones being by The Dandy Warhols on their 2004 album Come On Feel The Dandy Warhols. Also, Tina Arena (remember her?) 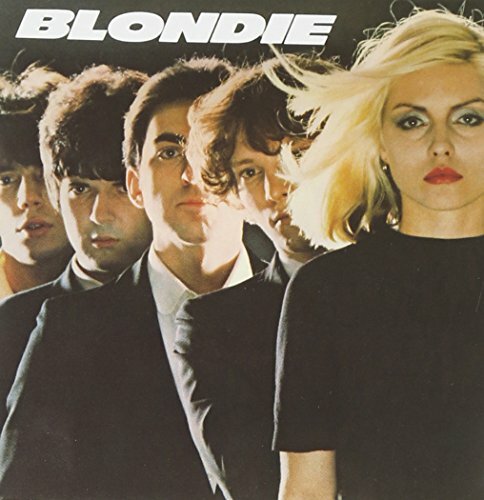 on the 2008 album Songs Of Love & Loss II (this was a unique swing version) and by Scottish band Franz Ferdinand on the War Child Charity Album after a request by Blondie themselves. The only 80s cover version I know of is by the American band Until December, which featured on their self-titled studio album. The image is the single cover from the German version of Call Me. 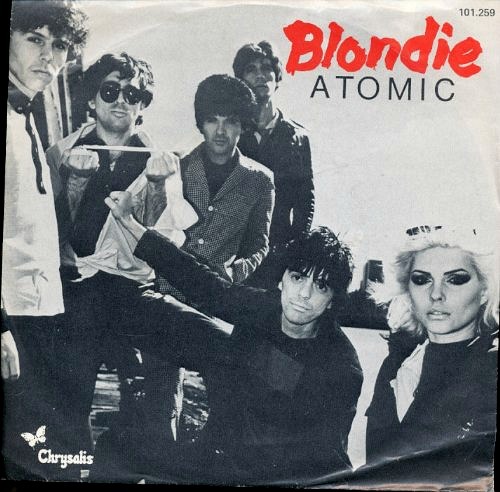 The driving bass-line in Atomic makes this my joint favourite Blondie track along with the previous single Call Me. 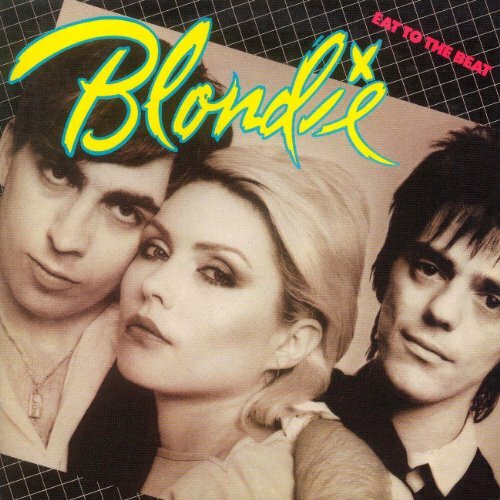 It was the third single to be released from Blondie's fourth studio album Eat To The Beat, and reached #1 in the UK for two weeks on 1st March 1980. The single was actually a remix of the 4:35 album version. Eat To The Beat made #1 in the UK album charts and #17 in the US. 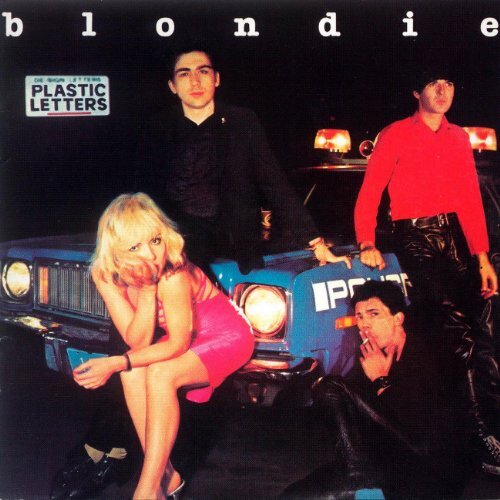 This is Blondie's most-loved album and regarded by many as a step-up from the previous album Parallel Lines. It features the perfect blend of 80s new wave, punk, catchy pop and a beautiful ballad called Shayla. Add the quality drumming of Clem Burke and you end up with one of the finest albums ever released. Parallel Lines also made #1 in the UK, as did the previous single Call Me. The first single to be taken from the Autoamerican album, this reached No.1 in 1980. My gran actually bought this on 7" vinyl for my 12th birthday, and the song's reggae-inspired vibe is hard not to like at almost any age. I did not know this at the time, but the song is actually a cover that was originally penned in 1967 by Tyrone Evans and John Holt and was performed by The Paragons, a ska and rocksteady group from Jamaica fronted by Holt. The most recent cover I know of was "Numba 1 (Tide is High)" by the Canadian rapper Kardinal Offishall and featuring Keri Hilson. However, it was only a minor hit peaking at #38 in Canada and #84 in the UK. Blondie were never shy of trying out new music styles, and Rapture was the first rap-influenced single to reach #1 on the American Billboard charts. It peaked at #5 in the UK during January 1985 and was taken from the album Autoamerican. The song was the follow-up to The Tide is High, and the second and last single to be released from the Autoamerican album. The b-side featured another track from the album Walk Like Me. Released in April 1982, Island Of Lost Souls was a bright and breezy, calypso style pop song that peaked at #11 in the UK, #13 in Australia and #37 in the US. 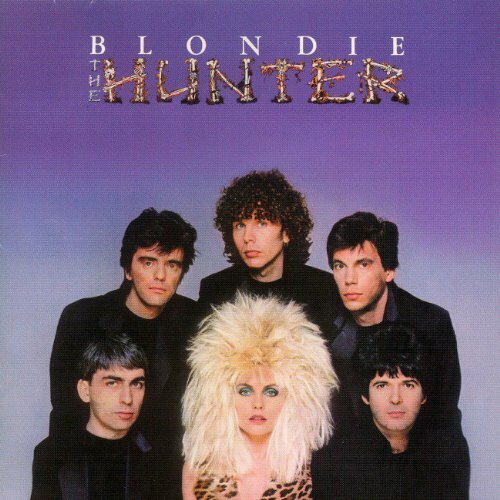 It was the first single to be lifted from Blondie's sixth studio album The Hunter, and was written by Deborah Harry and Chris Stein. 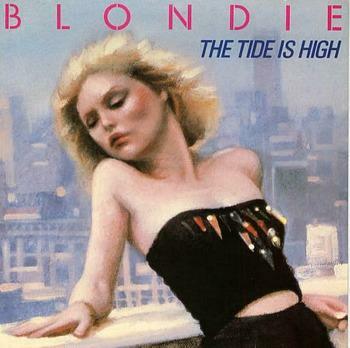 As with the reggae-inspired The Tide is High, this totally different style of music didn't go down well with some Blondie fans, and was a mile away from the band's original new wave/punk rock sound. You can't please all of the people all of the time, I suppose. The following single from The Hunter album (entitled War Child) was the band's last proper single release of the 80s and peaked at #39, which meant that Island Of Lost Souls was the band's last major hit single, until the release of Maria in 1999 which reached #1 in the UK. However, there were various remixes released inbetween, including Denis (1988), Call Me (1989), Atomic (1994) and Heart Of Glass, Rapture and Union City Blue remixes in 1995. Debbie Harry "French Kissin' (in the USA)"